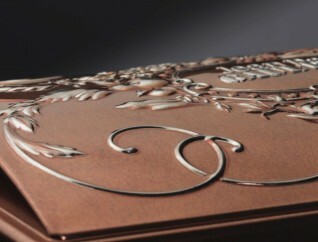 To personalize your metal packaging, Desjardin offers a large range of different finishings. For small batches, using stickers or laser printing can embellish your cans at very low cost. For larger quantities, Offset printing bring perfect finish to your most demanding requirements. Desjardin is able to perform in all types of offset printing multi-colored design. The technical possibilities allow us to print on any metal type printing on paper as: different combinations of colors with pantone if necessary (a pantone is a 'universal color chart' used in graphic design and printing and who gets more than 999 colors codified).